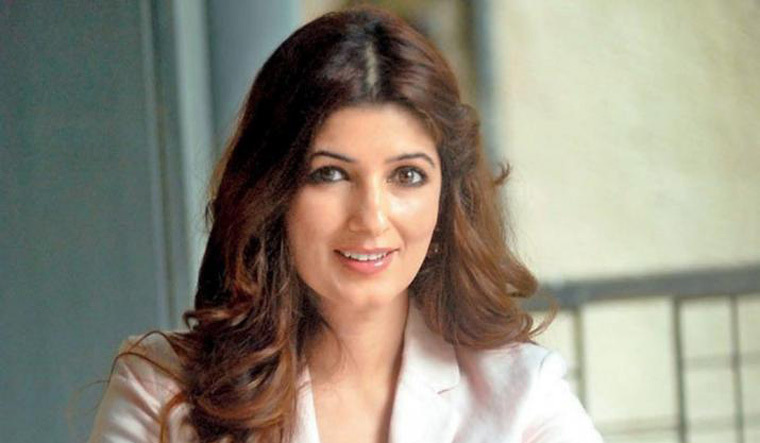 Twinkle Khanna, who has acted in films like Barsaat and Mela among others, is not proud of her work as an actor as she says, her movies should be banned and hopes that no one watches them. "I have not given any hit film. Whatever films I have done should be banned and no one watches it. Most of the time, I pretend I have Alzheimer's and I don't remember my film career and it makes me happy that way," Twinkle told reporters here on Friday at her book launch event. Twinkle had come close to doing Karan Johar's directorial debut Kuch Kuch Hota Hai but eventually Rani Mukerji joined the Shah Rukh Khan-Kajol starrer romance drama. "For the first time Karan is going to direct me in an ad film and god save your soul as I can't act at all," she said on a lighter note. Karan, who was in conversation with Twinkle at the launch of her book Pyjamas are Forgiving, called the actor-turned-author a "rockstar" and "someone who breaks the stereotypes". "This is an exceptional book, it has the emotional journey and it is hilarious. It is a fast read and it is the best book today," he added. The event was also attended by Akshay Kumar, Sonam Kapoor, Ranveer Singh, Bobby Deol, Dimple Kapadia and others. "I am happy to be here with Tina. I share a close bond with the family as Dimple aunty and my mom are very good friends. Tina is a wise, intelligent and forward thinking woman and we need more such women like her," Sonam said.